We might more accurately entitle this section as Corporate Identity or Visual Identity rather than school branding, corporate identity being the overall image of a corporation or public organisation both expressed visually and to reflect values and ethos in the minds of diverse publics. But whatever the choice of name attached to an identity we believe in a coordinated and holistic approach, with cohesive application of the identity to all marketing services material. So from the initial logo concept we can then design all required communications material that the identity is to be applied to, including websites, prospectuses, stationery and signage. Our complete service for all aspects of corporate publicity ensures a harmonious and cohesive implementation of a new identity. Please read more about our inclusive approach within the creation of new identities with pupil and students engagement. 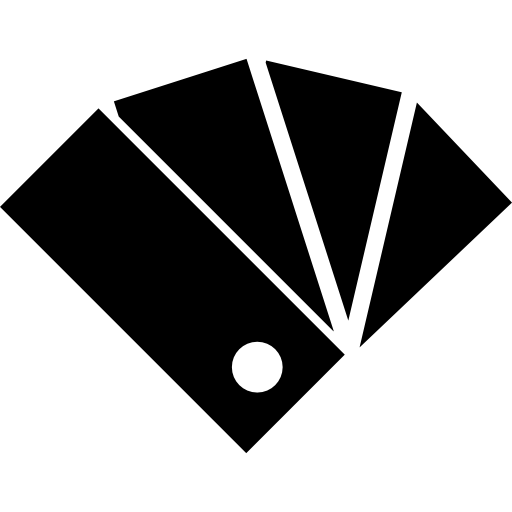 But whatever the choice of name attached to an identity we believe in a clean, coordinated and holistic approach, with cohesive application of a logo and all the stylistic elements associated with the identity. 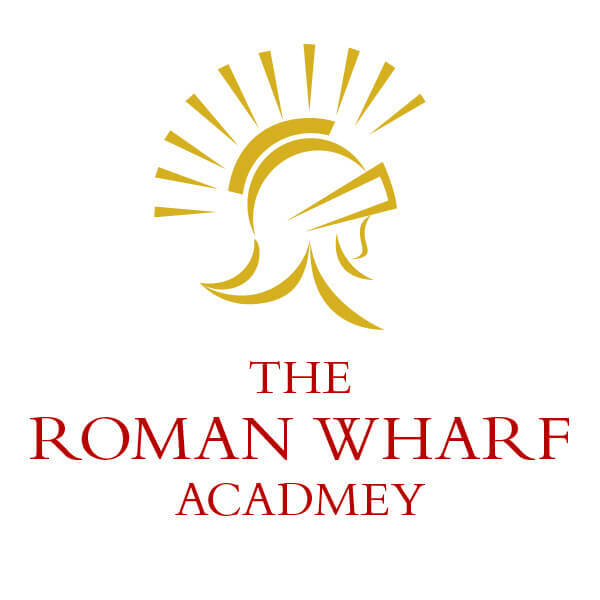 With over fifteen years specialising in school branding, we can ensure powerful and professional results. Please read more about this subject with regard to branding for MATs under the Academy Trust section. Fully responsive websites that reformat for all handheld devices and easy viewing. Our websites are completely bespoke solutions both in creativity and functionality. We can develop sites to fulfill a multiplicity of purposes. 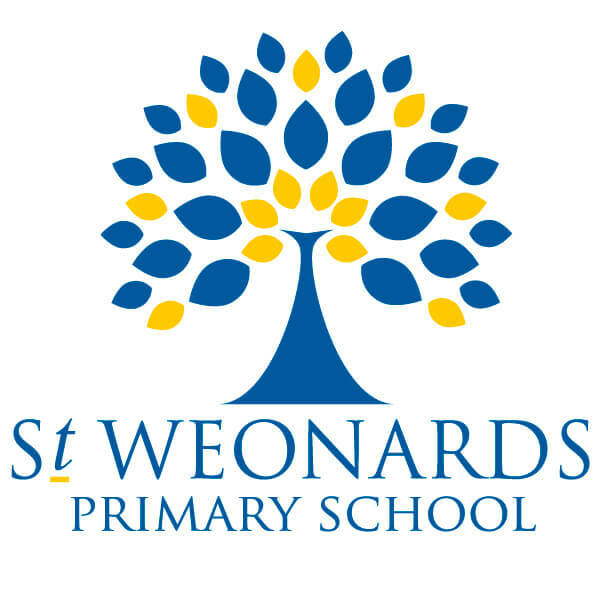 We provide beautiful websites for schools of all levels in all sectors. With a bespoke built CMS for schools, our websites are simple to edit yourself. We are also dedicated to the provision of constant support and training. The prospectus was designed using the same corporate styling as all other key corporate elements of the school including website design, signage and school interior colours. Preferentially, we believe that all corporate elements of a school should be considered together and holistically reinforcing the branding. 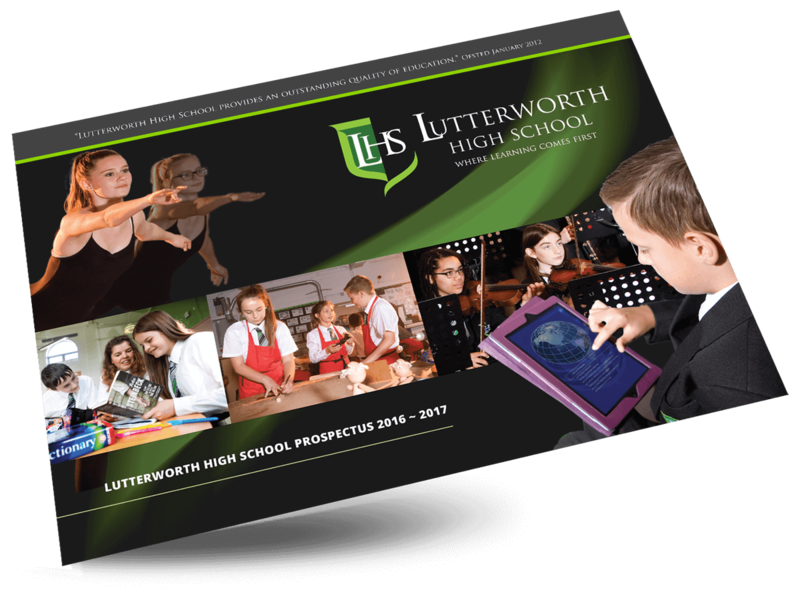 Such was the case for Lutterworth High School corporate literature and prospectus, designed in conjunction with website and signage with common graphic and colour styling. Please view our Photography Section, photography being one of the fundamental, creative ingredients ‘to breathe life’ into the pages of a prospectus. 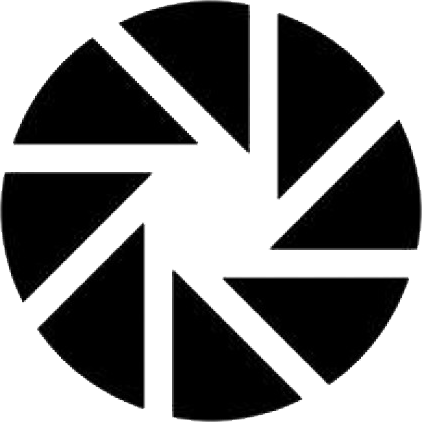 We consider photography to be an essential element of corporate branding. Lighting and styling can all be exploited to complement the identity. In this particular case a photographic panoramic effect was planned for, in consideration of large images to be used across double page spreads of the prospectus. Once again, ‘joined up and forward thinking’ and planning holistically for all requirements was key to the cohesive and effective branding implementation. You can read more about our photographic services and view photographic galleries on the following link. 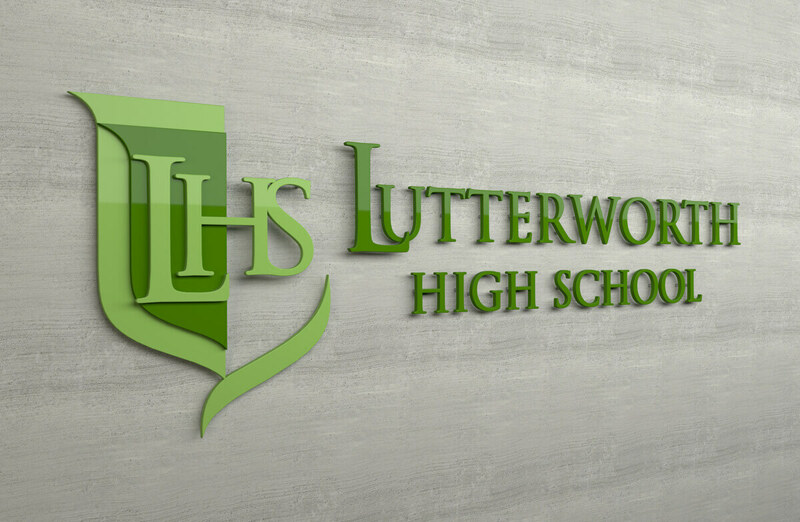 Again signage is an important part of reinforcing a school’s corporate identity. There are many ways in which to exploit this opportunity through exciting and imaginative solutions. Relief lettering, acrylic based signage, bespoke wooden structures – the opportunities are only limited by imagination, of which we have an an abundance. So please contact us if you are inspired to do something different and make a real ‘First Impression’. View our School Signage page and learn more about our provision for this specialist service. Appropriate artwork was supplied to the school for the production of school attire and students were involved in the process of designing the tie with a well known fashion design company of contemporary clothing. Student involvement gave a sense of ownership to the entire school corporate identity project. The process of creating new school brands nearlly always involves a progression of ideas and exchange of thoughts with clients. 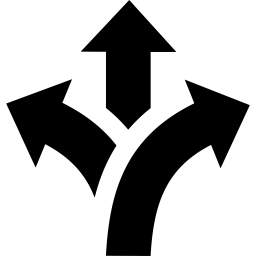 That is why we present multiple ideas with further refinement until a workable solution is arrived at. Such is the case demonstrated with the Forge Trust of Academies. It starts with an overarching visual identity for the Multi Academy Trust, reflecting ‘Family values’ and then moving forward to the individual academies of that Trust to ensure that each member Academy retains their own individuality whilst being a part of the whole Trust. How to express this visually at every level is where we can offer our experitse and advise. Looking at the structure of an MAT helps us to analyse how shared values and commonality of ambitions may be expressed through cohesive branding for all member academies, examplified above. If you are an MAT looking to bring visual connectivity between all your member academies and reinforce your MAT brand or if you are in the initial process of converting to multi academy status, we’d love to talk to you. From doodles to big ideas. We provide sessions for pupils and students to engage in the creative process of branding for their school. Sessions can be flexible and formatted accordingly to suit the age and ability of participants. These exercises have proven beneficial in their power to give a sense of shared ownership of an identity to parents and pupils. They can also provide a real public relations opportunity to reach out to the school community at the launch of a new brand. 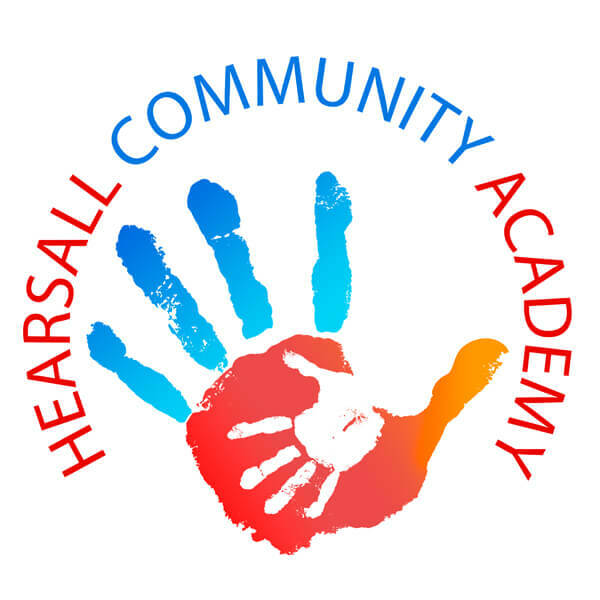 When thinking about new logo design with pupils and students, we emphasise the importance of ideas and conceptual thinking rather than worrying too much about precise or artistic renderings. We can then visually interpret these different thoughts and ideas with refinement, exemplified in the photos from previous sessions. The whole process of ‘inclusive design’ is also really good fun in our experience. Need to know more about our school branding services?